Tonight I finally signed up for a skill share class...I have been wanting to for a while now, but it was just a matter of choosing which one. 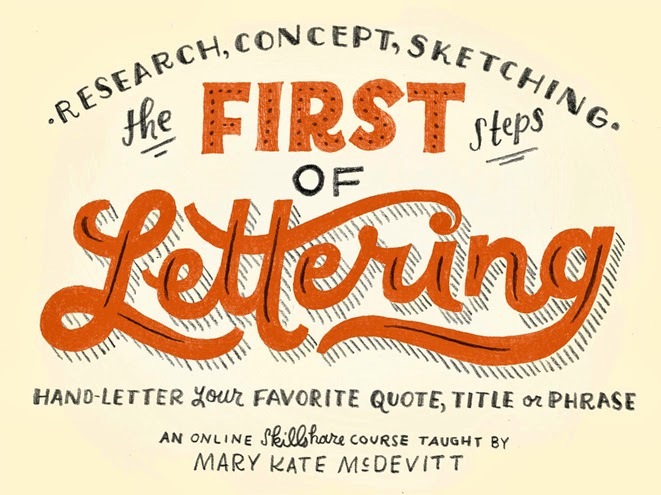 I feel good about the one I picked, The First Steps of Hand-Lettering: Concept to Sketch, with Mary Kate McDevitt. If you're interested in this class too you can sign up here and get $10 off your first skillshare class! yay! I'm really excited to get started learning more about the art of hand lettering. I'm hoping to use the skills I learn during the class in my 52 week project, watercolor weekly! It's my first class on skillshare, I work all day too so that's why I was so happy it is a self paced class :) I think this will be a really great class!